After Dr. Sean Rooney graduated Mahopac High School, he attended the University of Buffalo, where he completed his pre-medical requirements and earned his Bachelor of Arts degree in Physical Anthropology. After college, Dr. Rooney attended Columbia University School of Dental and Oral Surgery. In 2000, he graduated from Columbia and was asked to give the graduation speech. He was awarded the Leadership Award by the Dental Society of the State of New York in recognition of outstanding leadership as the Class President. After he completed a general dentistry residency at Columbia in 2001, he returned in 2002 to begin a residency in orthodontics. In 2004, he became certified as a specialist in orthodontics and was chosen as a Chairperson on the Columbia University Orthodontic Alumni Executive Board.In 2007, Dr.Rooney completed his requirements and passed the exams neccessary to be a Diplomate of the American Board of Orthodontics. Approximately,only 30% of orthodontists have completed the requirements to be a Diplomate. Dr. Rooney associated with orthodontic practices in Westchester County and New York City. 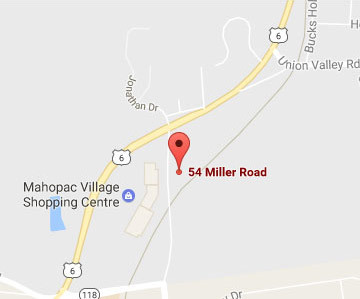 Fortunately, in 2007 he and his wife Jennifer returned to Mahopac where they completed their vision of opening an orthodontic practice in their hometown. Their daughters, Emma, Addison, and Lia will have the opportunity to be the fourth generation to live in this area. Dr. Rooney was selected by his peers to be included in the list of Top Dentists in the Hudson Valley area from 2008 to 2017. This list appears in the November issue of Hudson Valley Magazine. He was elected by his patients and parents as 2017 and 2018 Hudson Valley Parents Favorite Doc. 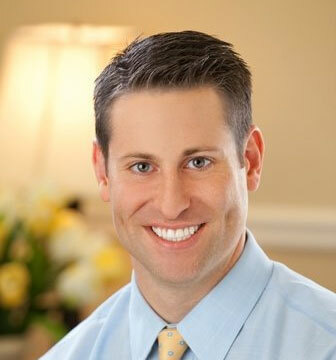 Dr.Rooney is currently working with several companies to advance technology in orthodontics! He currently holds positions that include, President of the Putnam County Dental Society,Past President of the Columbia University Orthodontic Alumni Executive Board, Putnam County representative for the Dental Education and Licensure Committee of the 9th District. Dr. Rooney is actively involved with several international, national, state, and local professional organizations that include the World Federation of Orthodontists, the American Association of Orthodontists, the American Dental Association, the 9th District Dental Association, Putnam County Dental Society, Columbia University Orthodontic Alumni. He has lectured to dental and non-dental organizations on topics such as Invisalign,Obstructive Sleep Apnea, and Advancements in Orthodontics. Dr.Rooney's favorite activity is spending time with his family. He enjoys training for triathlons and is on the organizational committee for the Mahopac Tyathlon. The Tyathlon is a triathlon to raise money for the Ty Louis Campbell Foundation. Dr.Rooney is also a 2x Ironman triathlete.